India’s biggest Magento event – Meet Magento India is coming soon. Yes, you heard it right! The Meet Magento conference is going to take place for the second time in Ahmedabad on 2nd and 3rd February 2019, and will be organized by Wagento. Meet Magento India 2019 will bring more than 500 participants including developers, system integrators, subject matter experts, merchants, service providers, speakers, and technology partners across the globe under one roof. Moreover, the conference will organize various interactive talk sessions and workshops to help attendees stay at the forefront of technological innovations. 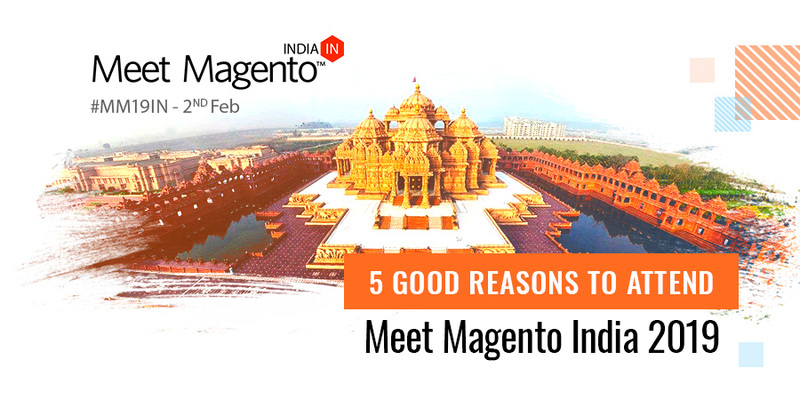 Why Should One Attend Meet Magento India 2019? If you are in a dilemma whether to attend the Meet Magento India conference or not, this blog will help you arrive at the right decision. Here we have discussed some good reasons to be a part of this event. The Meet Magento India conference will feature speakers and experts having decades of experience in various aspects of Magento such as Magento Progressive Web Application, Magento Test Driven Development, Magento B2B solutions, Magento Upgrade and Migration, Community and Enterprise Editions, Payment Industry, Scaling & Performance, etc. These industry experts would be sharing their insights into the latest eCommerce technology trends and best Magento practices to boost the performance of your business. Thus, you can expect lots of learning through this event. The attendees of the Meet Magento event will get the opportunity to stay up-to-date with the advanced developments and recent trends in Magento and eCommerce world. Get new and deep insights into the latest technologies, trends, and industry innovations. You can also learn about the latest tools and technologies for Magento, how to carry out automation testing in Magento, how to deploy faster and more effectively, and many other important topics in this conference. 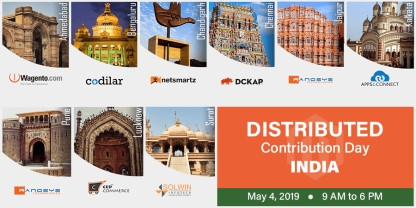 As Meet Magento India attracts the biggest innovators of the eCommerce industry, it will be a great opportunity for you to connect with Magento experts, contributors, Magento U authorized trainers, merchants, Magento partners, etc. and grow your professional network. You can join the prominent industry leaders over coffee in breakout sessions or over lunch and discuss your digital commerce journey. 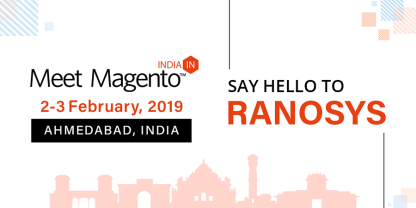 If you are a Magento developer or are willing to pursue your career in Magento development, Meet Magento India 2019 is a must-attend event for you. It will expose you to expert developers across the world, give a chance to learn new techniques of the Magento development system and brush up on the latest Magento coding standards. What’s more? You may also get a chance to work with one of the leading eCommerce solution giants! Special Highlight – Merchant Only Session! The major highlight of Meet Magento India will be the merchant-only session with a strong emphasis on eCommerce solutions, marketing strategies, and business cases. The conference will open up a broad spectrum for the Indian merchants to help them benefit from the Magento platform and learn how to grow better with Magento. Merchants can get an insight into topics like the role of Magento in the eCommerce world, how Magento can help in B2B Commerce, how you can migrate to Magento, and more. 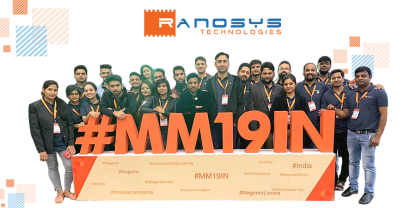 Ranosys Technologies is joining Meet Magento India as a Gold Sponsor and will also take the stage as one of the speakers. If you are also planning to attend the event, be sure to meet team Ranosys and talk digital commerce. Register now for the most happening Magento event of India!